1Fish and Wildlife Unit, Department of Veterinary Public Health and Preventive Medicine, University of Ibadan, Ibadan, Nigeria. Aquaculture urges for more accurate information on stress control, in order to assure health of fish, once those animals are confined into artificial environment. Most fish can tolerate to an extent environmental conditions that differ from their natural habitat. However, capture, transport, and handling are aquaculture procedures normally employed in intensive culture systems (Krieger- Azzolini et al., 1989; Narnaware et al, 1994). Haematological parameters can be of great importance for fish-farmers, serving as indicators of the physiological status and helping on the prevention and control of pathologies related to stress (Aldrin et al, 1982). The haematological characteristics of a number of culturable fish species have been studied with the aim of establishing normal value ranges, and any deviation from it may indicate a disturbance in the physiological processes, Rainza-Paiva et al. (2000), O’Neal et al. (2001). Several of these studies were attempts to determine if significant variations from normal values of these parameters exist that could be attributable to some internal or external factors (Munkittrick and Leatherland, 1983; Gabriel et al., 2001; Adeyemo et al, 2003). Handling an transportation of fish may cause physiological changes, which may lead to metabolic disturbance, enzymatic dysfunction, and several other malfunctions in the fish (Kurovskaya and osadchaya, 1993). The magnitude and duration of such response are strongly related to the species and nutritional status (Pickering et al, 1982; Vijayan and Moon, 1992). African catfish (Clarias gariepinus) is an economically important tropical freshwater fish in Nigeria. It is also very hardy. Changes in the blood characteristics of Clarias gariepinus caused by stress because of exposure to environmental pollutants, diseases or attack by pathogens have been studied by a number of authors (Onusiriuka and Ufodike, 2000; Ezeri, 2001; Gabriel, et al., 2001). These indices have been employed in effectively monitoring the responses of the fish to the stressors and thus its health status under adverse conditions. Stress factors due to capture, handling and sampling procedures are factors which can cause intra-species haematological variations (Bouck and Ball, 1966). 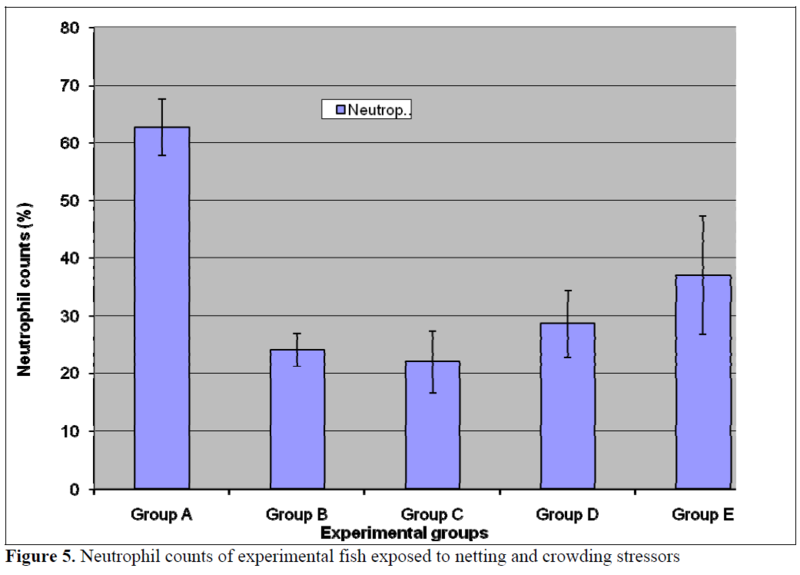 The aim of this study was to determine the physiological response of Clarias gariepinus subjected to acute stress of net capture and handling. Adult African catfish, Clarias gariepinus, (mean weight 585 g ± 100 g and mean length 27 cm ± 3 cm) were bought from a Zartech fish farm in Ibadan, Nigeria. The fish were acclimatized at 24.5-25.5oC for fourteen days in 25 liters aerated plastic tanks during which, they were fed with commercial fish pellet at 4% body weight. The natural photoperiod (16h light: 16h dark) was maintained during the period. Mortality during the period of acclimatization was less than 2%. Blood samples for Baseline data (Group A) was collected after fish were anaesthetized with 2mg of benzocaine dissolved in 5ml of acetone, which was further dissolved in 8 litres of water (Roberts, 1978). Blood was rapidly collected (within 60 seconds) from the caudal vein of each fish with syringes and needles containing EDTA (10%). Samples were analyzed in the laboratory for haematological and immunological parameters. Ten fish were confined in a net out of water for thirty minutes (Group B), another set of ten fish were confine in net out of water for 1 hour (Group C). Ten set of fish were crowded in a small plastic container with no water for 30 minutes (Group D). The last sets were also crowded in a small plastic container with no water for an hour (Group E). The experiment was conducted in triplicates for each category. After the specified periods, fish were bled as previously described and analyzed in the laboratory for haematological and immunological parameters. Blood was drawn from the posterior caudal vein using needle and syringes according to Schmitt et al. (1999) and 2ml was decanted in EDTA bottles for the assessment of haematological parameters, while another 2ml was decanted into heparinized bottles for the BLL determination. Whole blood (50μl) was stained for enumeration of red and white blood cells (Shaw, 1930). Blood smears were air-dried for five minutes, fixed in absolute methanol, and stained for 60 seconds in Giemsa stain. Haematocrit and hemoglobin concentration (Hb) were conducted immediately. Haematocrit was determined by spinning blood samples contained in heparinized capillary tubes in a microhematocrit centrifuge. Hb was determined by the cyano-methaemoglobin method (Hesser, 1960). RBC was estimated using the relationship between Hb and haematocrit (Mirale, 1982). Blood smears made and stained with Giemsa, were used to determine the white blood cell count (WBC) and differential WBC counts (Stoskopf, 1993). Data are presented as mean ± standard deviation. The results were collated and subjected to statistical analysis. Significance of findings was determined using student’s t-test. Findings were adjudged to be significant at 95% confidence limit (p≤0.05). African catfish (Clarias gariepinus) is of great commercial importance because it is the most African catfish (Clarias gariepinus) is of great commercial importance because it is the most common fresh water fish widely consumed in Nigeria (Olaifa et al, 2004). It is therefore a good model to study responses to handling and transportation stress. This present study revealed that haematocrit and red blood cell counts (RBC) was generally higher in the control (Group A) relative to the test populations (Groups B-E) however, the differences in values was not statistically significant (p<0.05) for Haematocrit, Hb and RBC (Figures 1- 3). Stress of handling has been shown to produce haemoconcentration and that the haematocrit of fish blood decreases after the stress of capture and transportation (Hattingh and van Pletzen, 1974). Lawani and Alawode, 1987 reported a significant (p<0.05) decrease (18.3 and 12.7) in the haematocrit of Oreochromis niloticus confined for thirty minutes and one hour respectively relative to the control (35.58). This difference in reaction between the two fish species is probably due to the fact that Clarias gariepinus are hardier than Oreochromis niloticus and also possesses accessory breathing organs, which enable them to survive better outside water. Similar studies with brown trout Salmo trutta (Pickering et al, 1982) and channel catfish Ictalurus punctatus (Ellsaesser and Clem, 1986) did not show significant alteration in the erythrocytic parameters. The lack of effect on haematocrit and hemoglobin was also observed by other authors (Ellsaesser and Clem, 1986; Carneiro and Urbinati, 1998). The numbers of neutrophils was significantly (p<0.05) lower in the treatment populations (Groups B-E) relative to the control (Figure 5). Stress has been linked to increase in susceptibility to infectious diseases (Pickering et al, 1982; Pickering and Pottinger, 1987; Maule et al., 1989; Wiik et al., 1989). Such decrease in disease resistance seems to be mediated by reduction of leukocytes number (Pickering et al, 1982; Ellsaesser and Clem, 1986; Ainsworth et al, 1991) or suppression of its activities (Pickering and Pottinger, 1985; Ellsaesser and Clem, 1986). Additionally, a statistically significant (p<0.05) lymphocytosis was observed in the treatment populations relative to the control (Figure 6). This is in agreement with the report of Pickering and Pottinger, (1987) that changes in the composition of circulating white blood cells are more reliable indicators of chronic crowding stress. There was no significant difference in the eosinophil counts (Figure 7) in all the groups. Stress has also been reported to act on others components of immune system, studies on both coldwater and warm water fish has shown that antibody production is lowered in periods of stress (Pickering and Pottinger, 1985; Wiik et al., 1989). 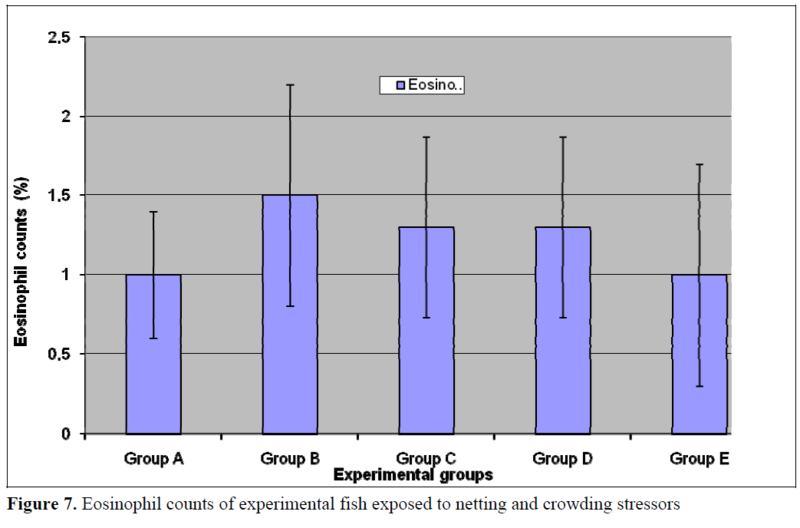 This study therefore concludes that, in culture systems, fish are affected by stressful procedures, such as handling and transportation. Handling stress might lead to important metabolic, osmoregulatory (Barton and Zitzow, 1995) and hematological (Ellsaesser and Clem, 1986; Barton and Zitzow, 1995; Carneiro and Uurbinati, 1998) changes, which may cause serious growth problems, susceptibility to disease, parasite infection and even death (Wiik et al., 1989). Nevertheless, elicited responses may vary among fish species and may be influenced by the type of stimulus and duration of exposure. Thus, future studies are required to identify methods which could minimize adverse effects, thereby preventing losses to fish farmers. Adeyemo, O.K., Agbede, S.A., Olaniyan, A.O., Shoaga, O.A., (2003). The Haematological response of Clariasgariepinus to changes in acclimation temperature, African Journal of Biomedical Research, 6: 105–108. Ainsworth, A.J., Dexiang, C., Waterstratt, P.R., (1991). 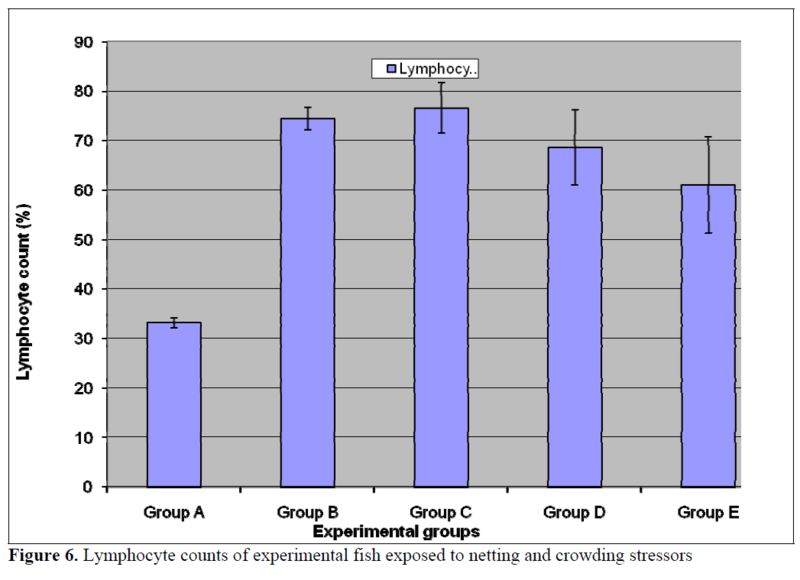 Changes in peripheral blood leukocytes percentages and function of neutrophils in stressed channel catfish, Journal of Aquatic Animal Health, 3: 41-47. Aldrin, J.F., Messager, J.L., Baudin-Laurencin, F., (1982). La biochimieclinique en aquaculture. Interetet perspective, CnexoActes de Colloques, 14:219-326. Barton, B.A., Zitzow, R.E., (1995). Physiological responses of juvenile walleyes to handling stress with recovery in saline water, Progressive Fish Culturist, 57: 267-276. Bouck, G.R., Ball, R.C., (1966). Influence of capture methods on blood characteristics and mor-tality in the rainbow trout (Salmogairdneri), Translantic American Fisheries Society, 95(2):170-176. Carneiro, P.C.F., Uurbinati, E.C., (1998). Alteraçõesmetabólicas, hematológicas e osmoregulatórias do matrinxãBryconcephaluscausadaspeloestresse de transporte. In: Aqüicultura Brasil’98, Anais. Recife, 2: 609- 620. Ellsaesser, C.F., Clem, L.W., (1986). Haematological and immunological changes in channel catfish stressed by handling and transport, Journal of Fish Biology, 28: 511– 521. Ezeri, G.N.O., (2001). Haematological response of Clariasgariepinus to bacteria infection and prophylactic treatment with antibiotics, Journal of Aquatic Science, 16: 22-24. Gabriel, U.U., Alagoa, J.K., Allison, M.E., (2001). 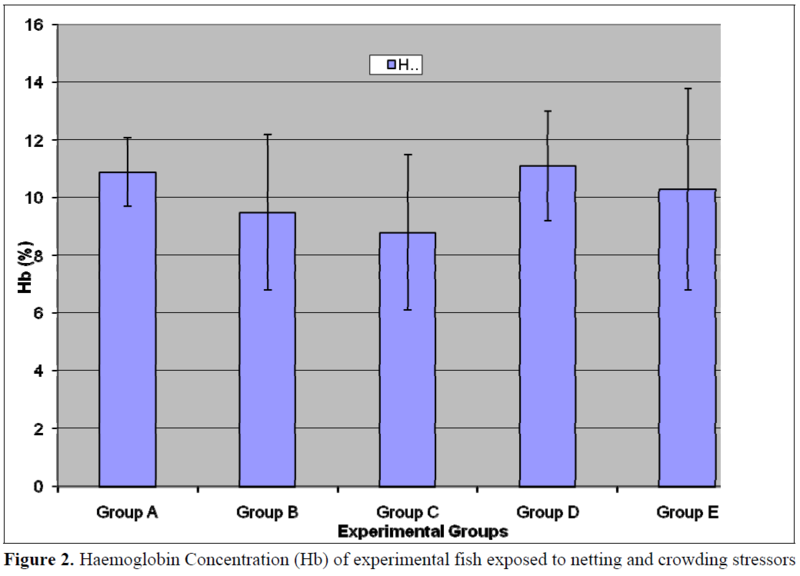 Effects of dispersed crude oil on the haemoglobin and packed cell volume of Clariasgariepinus, Journal of Aquatic Science and Environmental Management, 5: 9- 11. Hattingh,, J., Van Pletzen, A.J.J., (1974). 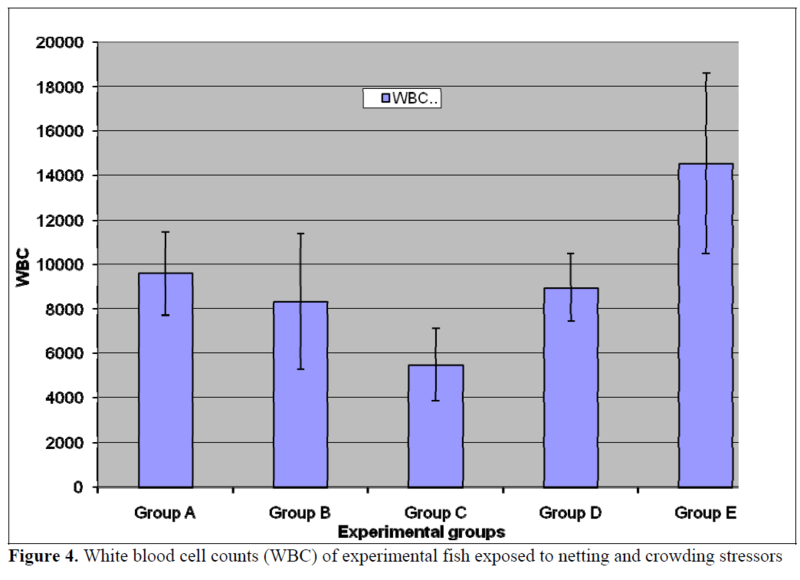 The influence of capture and transportation on some blood parameters of fresh water fish. Comparative Biochemistry and Physiology, 49: 607-609. Hesser, E.F., (1960). Methods for routine fish hematology. Progressive Fish Culturist, 22(4): 164-171. Krieger-Azzolini, M.H., Delattre, E., Carolsfeld, J., Ceccarelli, P.C., Menezes, F.V., (1989). A time-course study of physiological indicators of handling stress in the tropical fish Piaractusmesopotamicus (Pacu), Brazilian Journal of Medical and Biological Research, 22: 1019-1022. Kurosvskaya, L.N., Osadchaya, S.A., (1993). The influence of Ichthyophthiriusmultifiliis on underyearling carp, Cyprinuscarpio, Journal of Ichthyology, 33: 81-92. Munkittrick, K.R., Leartherland, J.F., (1983). Haematocrit values in the feral goldfish, Carassius auratus as indicators of the health of the population. 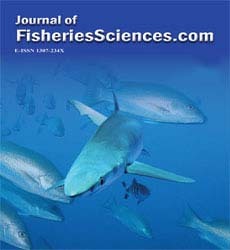 Journal of Fish Biology 23: 153 -161. Narnaware, Y.K., Baker, I.B., Tomlinson, M.G., (1994). The effects of various stresses, corticosteroids and adrenergic agents on phagocytosis in the rainbow trout Oncorhynchusmykiss, Fish Physiology and Biochemistry, 13: 31-40. 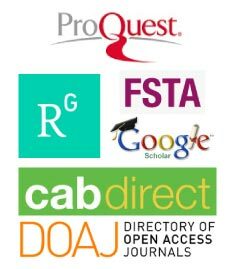 O’Neal, C.C., Weirich, C.R., (2001). Effects of low level salinity on production and haematological parameters of channel catfish, Ictaluruspunctatus reared in multi-crop ponds. In: Book of abstract. Aquaculture 2001. Int. Triennal Conf. of World Aquaculture Soc. Jan. 21-25, 2001. Disney Coronado Springs Resort Lake Buena Vista, Florida, p. 484. Pickering, A.D., Pottinger, T.G., (1985). Cortisol can increase the susceptibility of brown trout, Salmotrutta L., to disease without reducing the white blood cell count, Journal of Fish Biology, 27: 611-619. Pickering, A.D., Pottinger, T.G., (1987). 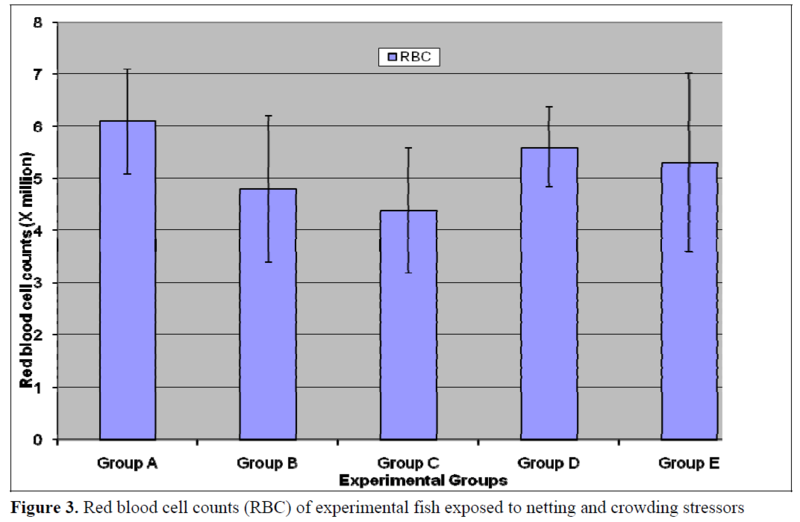 Crowding causes prolonged leucopenia in Salmonid fish, despite interrenal acclimation, Journal of Fish Biology, 30: 701–712. Pickering, A.D., Pottinger, T.G., Christie, P., (1982). Recovery of the trout, Salmotrutta L., from acute handling stress: A time-course study, Journal of Fish Biology, 24: 731-740. Rainza-Paiva, M.J.T., Ishikawa, C.M., Das Eiras, A.A., Felizardo, N.N., (2000). Haemotological analysis of ‘chara’ Pseudoplatystomafasciatum in captivity. Aqua 2000. Responsible aquaculture in the new millennium. Nice, France. May 2-6 2000. European Aquaculture Soc. Special Pub. Vol. 28, p.590. Roberts, R.J., (1978). The patho-physiology and systemic pathology of Teleost., In Roberts R. J. (Ed. ), Fish pathology. Baillière-Tindall, London (UK), pp. 55-91. Schmitt, C.J., Blazer, V.S., Dethloff, G.M., Tillitt, D.E., Gross, T.S., Bryant Jr., W.L., DeWeese, L.R., Smith, S.B., Goede, R.W., Bartish, T.M., Kubiak, T.J. (1999). Biomonitoring of Environmental Status and Trends (BEST) Program: Field Procedures for Assessing the Exposure of Fish to Environmental Contaminants. Information and Technology Report USGS/BRD-1999-0007. U.S. Geological Survey, Biological Resources Division, Columbia, 68 pp. Shaw, A.F., (1930). A direct method for counting the Leucocytes, thrombocytes and erythrocytes of birds blood, Journal of Pathology Bacteria, 33: 833-835. Stoskopf, M.K., (1993). Clinical pathology. In Stoskopf M.K. (Ed.) Fish Medicine (pp. 113- 131). Philadelphia, Pa: WB Saunders. Vijayan, M.M., Moon, T.W., (1992). Acute handling stress alters hepatic glycogen metabolism in food deprived rainbow trout (Oncorhynchusmykiss), Canadian Journal of Fish and Aquatic Science, 49: 2260-2266. Wiik, R., Andersen, K., Uglenes, I., Egidius, E., (1989). Cortisol-induced increase in susceptibility of Atlantic salmon, Salmosalar, to Vibrio salmonicida, together with effects on the blood cell pattern, Aquaculture, 83: 201- 215.